Opportunity never knocks anymore, but instead uses the internet to view your posted work and then sends an email if interested. The project below came to me in a different way, literally years in the making. Long, long ago, in a windy city far, far away, I used to freelance for an animation studio called "Calabash Animation". This is back when animation commercials where still 2D, used hand painted cels, where shot on 35mm film and transferred to video(tape). Recently, I got an email from a friend who works at Calabash with an offer to animate the Honeynut Bee in an upcoming spot. 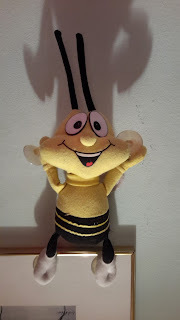 I know this character well, even have this stuffed bee toy from my Leo Burnett days in Chicago. 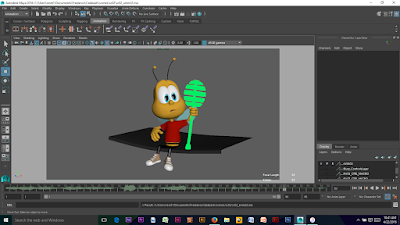 This opportunity came at the right time and soon I was downloading a copy of the animatic and the current rig. 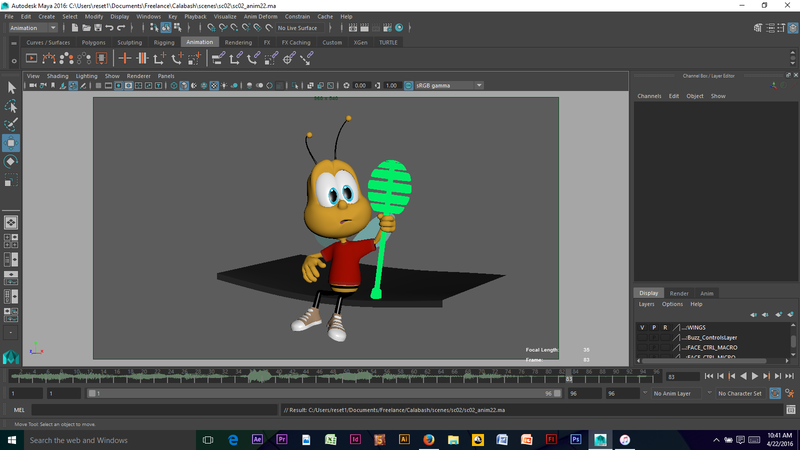 Liaka in Portland produced a few Honeynut commercials already and so Calabash had to build their own Maya rig of the bee character for this spot. Calabash also animated Sonny the Cuckoo Bird and the original Trix Rabbit. Did you enjoy this post, learn something new? Show your support by clicking on an ad or two, or leave a comment, make some noise, anything.